Tuck Pointing, Brick and Chimney Repair Toronto | Turnbull Masonry Ltd > Blog > Blog > My Freestanding Retaining Brick Wall Is Sinking! What Do I Do? If your retaining brick wall is showing signs of sinking, tilting, separating from adjoining walls or cracking it is likely related to the foundation. You want to have the issue looked at and resolved as quickly as possible to prevent worsening of the problem. When caught early on, sinking or tilting retaining walls can often be repaired as opposed to torn down and completely rebuilt. Freestanding walls are commonly used in landscaping as they serve a wide variety of purposes. They can be used for decoration, to add privacy or to secure the earth after an excavation, such as for a patio or driveway. The latter is a retaining brick wall. 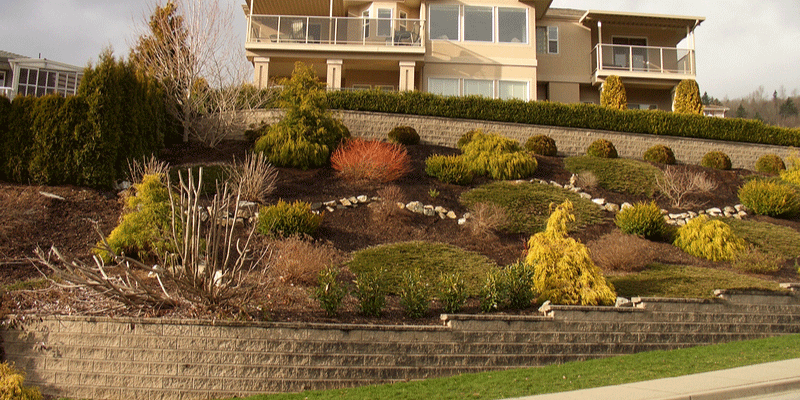 Retaining walls have a tougher job than ordinary freestanding walls because they are responsible for retaining soil. Therefore, they are naturally up against additional pressure or lateral forces. When the soil becomes wet it creates additional force on the wall. This pressure is further increased if you have expansive clay soils or slow draining soil. -Placing a “batter,” or a pitch, that forces the wall to lean slightly forward towards the soil it is retaining. -Installing tiebacks to the wall that dig into the soil well behind the structure. -Adding a bed of compact gravel or some sort of footing to help support the wall and prevent issues related to loose or frozen soil. -The wall is visibly tilting. -Retaining wall is separating from adjoining walls. -The entire wall or sections of the wall are moving forward. 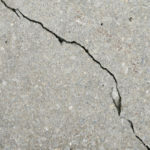 -The wall is buckling, cracking or crumbling. What Causes A Retaining Wall To Tilt, Buckle Or Sink? No matter if your retaining wall is built out of block, stone, wood or concrete it can start to destabilize. Even if it was built using top-notch materials and techniques, there’s still the chance it will eventually succumb to surrounding pressures. -No batter was installed during construction of the wall. -There are no anchors, insufficient anchors or failed anchors. -Surrounding drains are clogged, creating a build up of water in the soil. Consistently wet soil puts a lot of pressure on the wall; over time it could be too much pressure for the wall to handle. -The base is too soft. -Surrounding tree roots are growing up and under the wall, destabilizing the foundation. How Do You Fix Tilting or Sinking Retaining Wall Foundations? 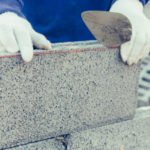 There are a few things a professional mason can do to fix a sinking or tilting retaining wall. The right solution will vary based upon the severity of the situation and the cause of the problem. After consulting with a foundation repair specialist, such as Turnbull Masonry, you’ll know if the most cost effective solution is to repair or rebuild. 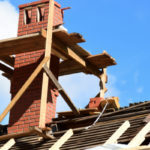 In the most severe cases you’ll need to demolish the wall and start from scratch, re-excavate the area, re-install drains and rebuild the wall. In less severe instances it might be more cost effective to repair the foundation and salvage the original wall. Either way, bricks from the original wall can almost always be re-used on the new wall. 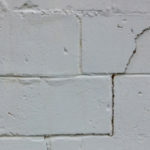 Certain repair methods actually stabilize the wall and even push it back to its original positioning. Similar techniques are used for fixing foundation walls on buildings. Helical anchors are often used to fix destabilized foundations. Helix-shaped blades are welded to steel shafts, creating a sturdy anchor that resembles a massive screw. Holes are drilled into the wall and hydraulic rotary is used to place the anchor through the wall and deep into the soil bank. A threaded adaptor is attached to the rod and the hole in the wall is patched up. As long as the correct numbers of anchors are applied, this should stabilize the wall. In certain situations, the nuts can be tightened over time so that the wall shifts back into its original positioning. The underlying problem will need to be addressed as well. For instance, if rising groundwater caused the wall to fail you’ll need to implement new drains.